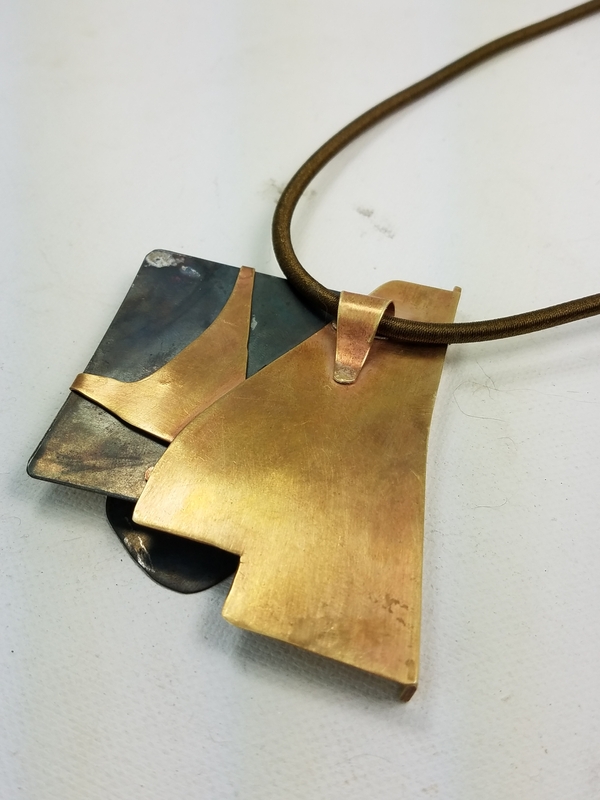 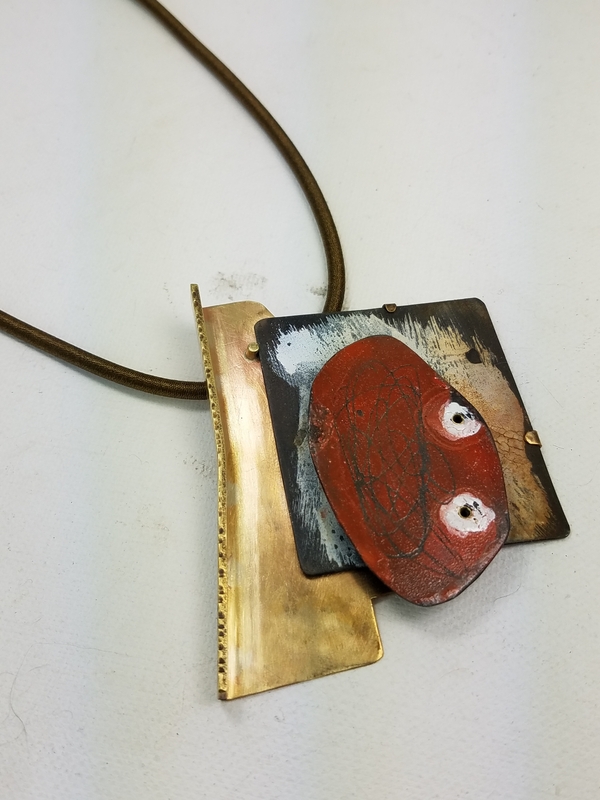 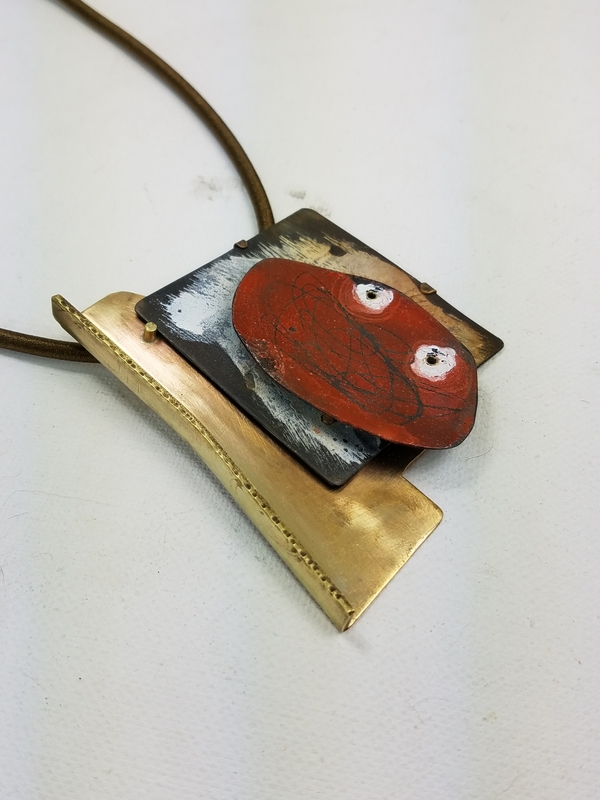 Abstract in shape, yet balanced in feel, this piece of art can adorn any neck. 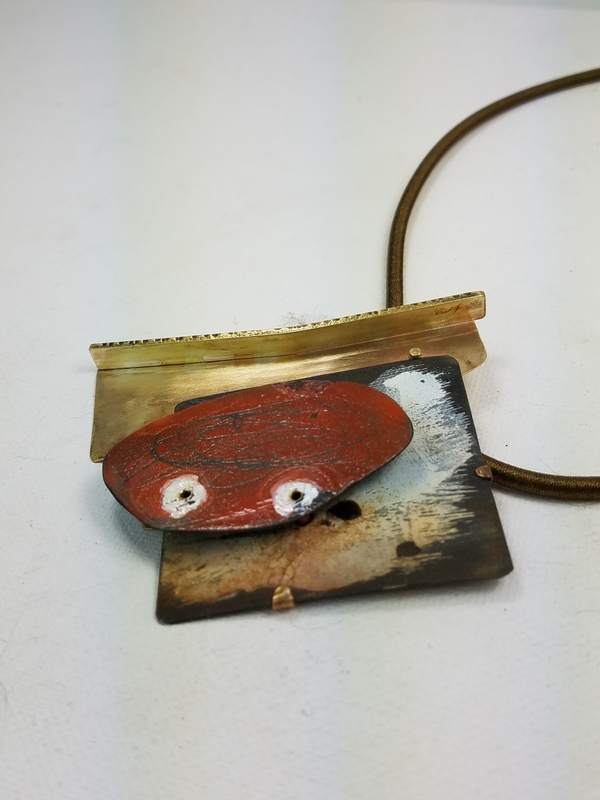 Soldered polished brass and copper surround and support the rustic enameled red steel. 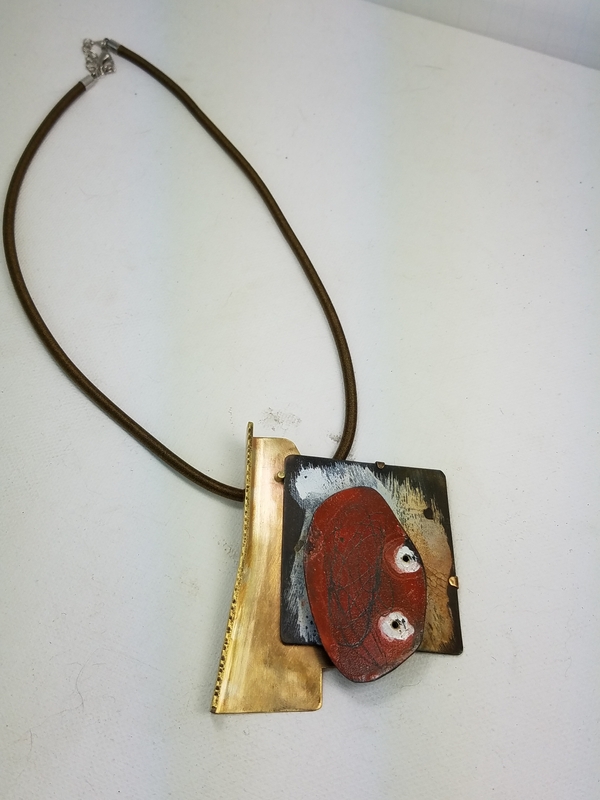 Strung from a brown silk cord which measures 18"
Pendant is 2 1/4" wide by 3"